Normal FTP as concerns about privacy and confidentiality increase, integrating a secure and reliable method of file transfer has become a critical business process. The FTP in SFTP still means "File Transfer Protocol", and the "S" makes it "Secure File Transfer Protocol" While the name is similar, and it looks almost identical, it's actually completely different and operates over an entirely different service called Secure Shell or SSH. This is a network protocol that allows data to be exchanged using a secure channel between two networked devices. Used primarily on GNU/Linux and Unix based systems to access shell accounts, SSH was designed as a replacement for Telnet and other insecure remote shells, which send information, notably passwords, in plaintext, rendering them susceptible to packet analysis. The encryption used by SSH provides confidentiality and integrity of data over an insecure network, such as the Internet. In general, SFTP is technologically superior to FTP. An FTP connection transmits data in a non-encrypted state, whereas in SFTP the data and connection is fully encrypted during the entire file transfer session. One of the benefits nowadays with traffic shaping is that while ISP's have caught on to throttling on FTP ports because large files are often sent there, they do not have the same attitude towards SFTP traffic and those people sending files from bandwidth throttling ISPs will likely find far superior performance using SFTP. SFTP is gaining steam as the most preferred method of secure file transfer, particularly in infrastructures that uses confidential data-transfers. 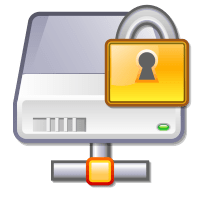 Our Secure File Transfer services enable you to move personal and confidential files quickly and securely to any location around the world using a free SFTP client application installed on your PC.